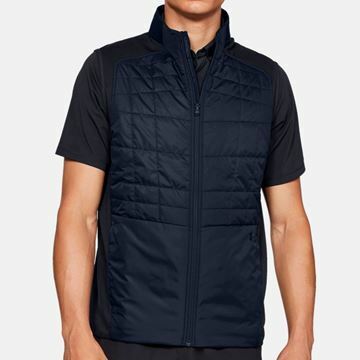 Padded vest with Storm technology fabric. 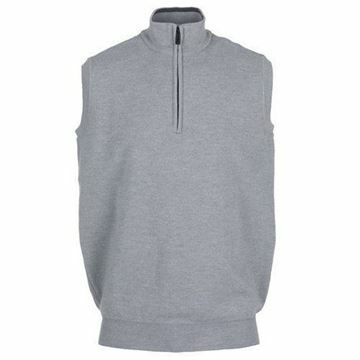 Keeps you warm during cold weather conditions while also being water repellent and breathable. Blue colour scheme. 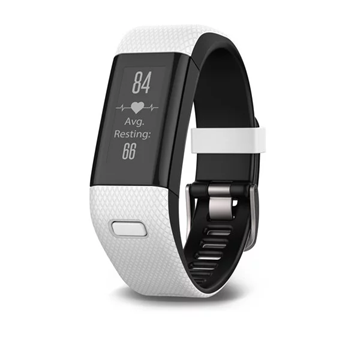 Ultra lightweight fabric. 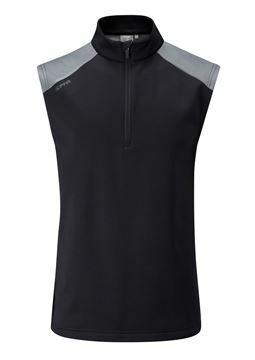 Under Armour storm daytona vest, designed to protect you from the wind as well as being breathable and lightweight. Loose fit makes this garment very comfortable, also have open hand pockets. 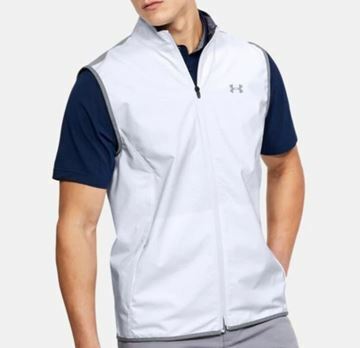 Under Armour storm daytona vest in white. 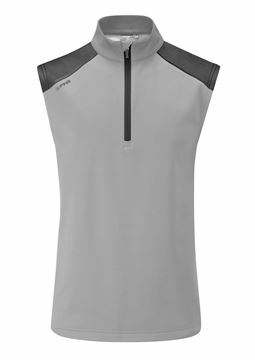 High quality fabric that offers thermal insulation keeping you warm but it is also breathable with fast drying fabric that has moisture wicking technology. 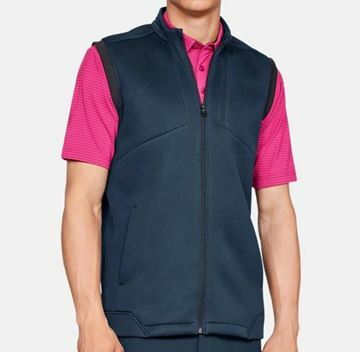 Under Armour windstrike full zip vest. Windproof and storm technology that is water repellent as well as being breathable. 4 way stretch material that gives you freedom of movement. 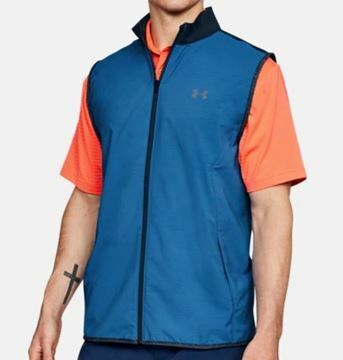 Under Armour storm daytona vest in navy and white. 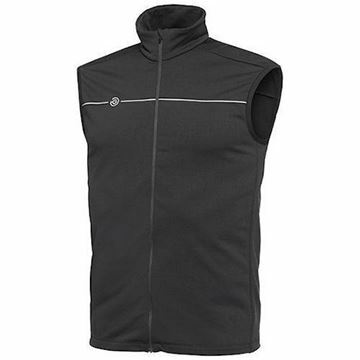 Quick drying and breathable fabric that keeps you warm in cooler conditions. Loose fit for freedom of movement. 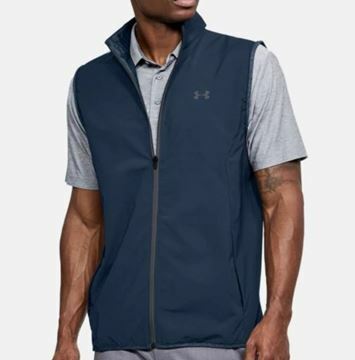 Under Armour windstrike vest, full zip windproof jacket that keeps you warm during windy conditions but it's also breathable. 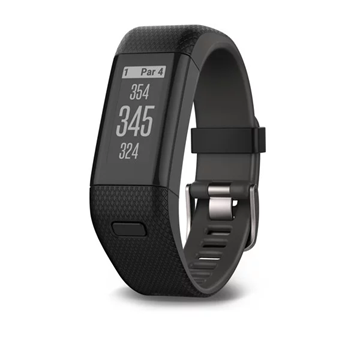 Made from stretch material that gives you freedom of movement. 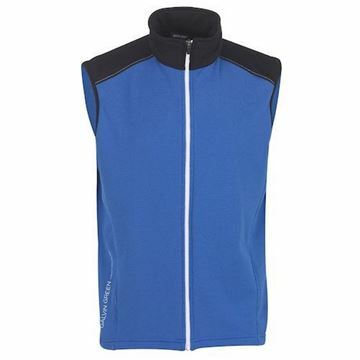 Half zip insula bodywarmer, excellent for adding extra warm during really cold conditions. 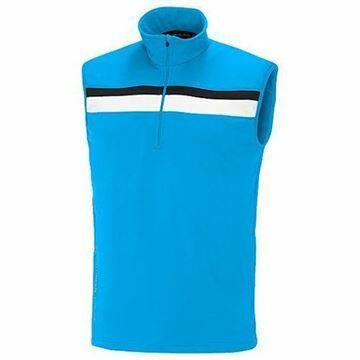 Thermal as well as breathable, Galvin Green Drake. 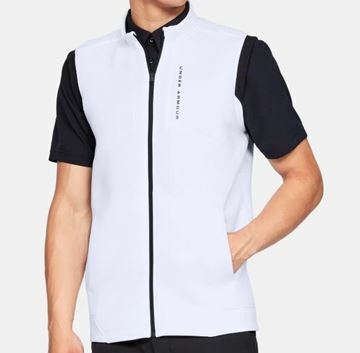 New for the 2018/2019 season, the Galvin Green Dane Insula Vest. Keeps you really warm with it's thermal construction, but is also lightweight and airy.